PT. SkyWay Technologies Indonesia is a fully subsidiary company of Global Transport Investments, Inc., which having main activities as a legal entity to prepare the implementation of SkyWay Technologies in Indonesia. It is a sister company of SkyWay Technologies, Co, an engineering company from Republic of Belarus which produce the vast transport solution for urban, cargo, high-speed transport, port-to-port, inter-villages, and inter-islands. PT. 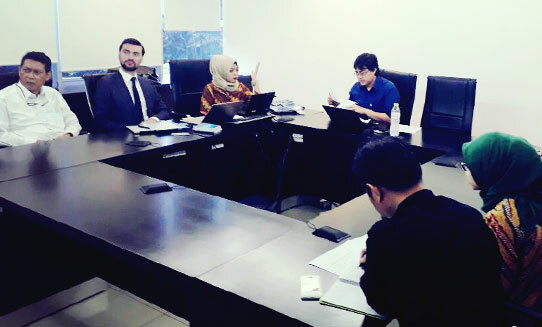 SkyWay Technologies Indonesia was established in Jakarta, based on the Principle License from Investment Coordinating Board Republic of Indonesia No. 3358/1/IP/PMA/2017 dated August 18th, 2017 and Deed of Establishment No.116 dated 21 August 21st, 2017, and with all the local permits which we already have, now, We are ready to be part of the transport solution in Indonesia. We are ready to be part of connectivity program in Indonesia. Our mission is to provide the best transport solution for Indonesia connectivity that will radically reduce energy and transportation costs, time, requiring to reconsider conventional transportation of people and cargo, to raise affordability of transport and reduce net cost of goods and services, time, requiring completely different comfort of travel and completely different speeds. Promoting social activity of people, offering them the opportunity to travel at higher speed, comfort and safety. The General designer of innovative SkyWay technologies and string transport Anatoly Yunitskiy is a scientist and inventor, author of over 200 scientific works, 18 monographs and above 150 inventions in the fields of construction, transport, machine building, electronic and chemical industries. The creator of the SkyWay and geo-space transportation systems, as well as a number of transport and infrastructure projects based on string technologies. Director of two projects from the United Nations, a member of the USSR Federation of cosmonautics. The President of the SkyWay Group of Companies. The General designer of SkyWay Technologies Co. The innovative transport technology started its development over 38 years ago, when Anatoly Yunitskiy decided to optimize the transport system making it affordable, efficient and safe. During this period, the SkyWay technology has evolved from the stage of an engineering idea to the stage of practical development. The practical implementation of SkyWay transport systems is done by a team of the the engineering Company SkyWay Technologies Co. with headquarters in Minsk, Belarus.